"If you want to change the world, pick up a pen." "Start by doing what's necessary, then do what's possible, and suddenly you're doing the impossible." Nominated as a Pat Conroy Southern Beach Music Mystery! With no intention of staying, Agnes devises a scheme to sneak out of the Manor and find another place to live. Before she can make her exit, though, she runs into her best friend from high school, along with some other quirky characters. With a nose for trouble, Agnes learns some of the residents are being robbed, over-medicated, and denied basic cable and Internet access. 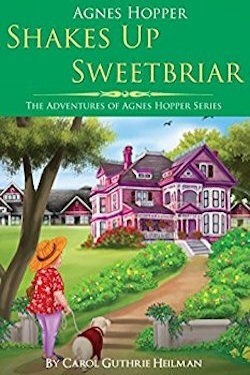 Armed with nothing more than seventy-one years of common sense and a knack for pushing people's buttons, Agnes sets out to expose the unscrupulous administrator, protect her new friends, and restore Sweetbriar Manor's reputation as a "rewarding and enriching lifestyle." ​But the real moment of truth comes when Agnes is forced to choose between her feisty self-reliance and the self-sacrifice that comes with caring for others. 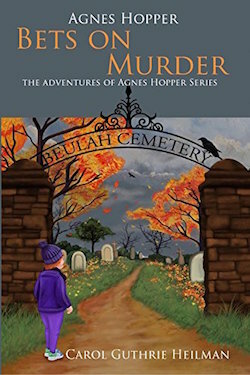 When Agnes Hopper travels to Beulah Land Cemetery to inform her late husband, Charlie, of the dire financial pickle she’s in, she discovers the shoeless and quite dead body of Charlie’s best friend laid out on a concrete bench. Steve Revis is an agricultural, well-drilling missionary. He and his wife, Judy, also minister to Haitian children, both hearing and deaf. As the Lord has lead them through both good and bad times, two constants remain at the core of their ministry: they get involved in the people s lives and they show them a God who is real. Part One Judy and Steve Revis s missionary journey unfolds through specific experiences presented alongside an actual journey into the remote Northwest Mountains of Haiti. Part Two Opportunities to serve, presented in a narrative/story form, informs those who have the hearts to go and work among the Haitian people. 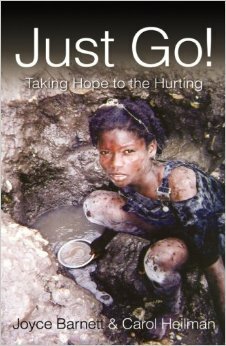 "Barnett and Heilman weave events, emotions, thoughts and faces into a moving picture of life in Haiti with Steve and Judy Revis, who have been missionaries there for twenty-five years. It is an amazing story of God in a country where voodoo is common. You will see afresh The Lord and how he moves to reach lost people."